Every season has its benefits and drawbacks, but winter is in a whole different category when you are a homeowner in the Midwest! The winter season can hit the Rockford area hard with heavy snowfalls and temperatures well below freezing, and protecting your home from the onslaught of winter weather is a top priority for anyone trying to avoid a major hassle in the spring. While sealing your entries, having new windows installed, and investing in insulated siding can all make a big difference in how your property survives a winter, there’s one hidden danger that can do a lot of damage in a short amount of time—ice dams on your home’s roof. First Things First: What is an Ice Dam? An ice dam is a thick layer of ice that forms at the eaves of the roof, frequently blocking off the gutter system of the home and causing a build-up of snow behind it. As the sun and heat escaping from your attic melts the snow behind the ice dam, water begins to pool. The unheated eaves prevent the ice dam from melting along with the snow, and this barrier causes water to seep underneath the shingles and into the sheathing of your roof. It means you could experience water damage to your walls, ceiling, insulation, and other key areas inside your home. 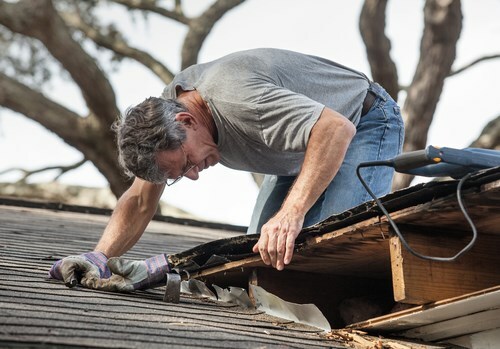 You could also be looking at significant roof damage, which can be a big expense if the problem is not treated properly. 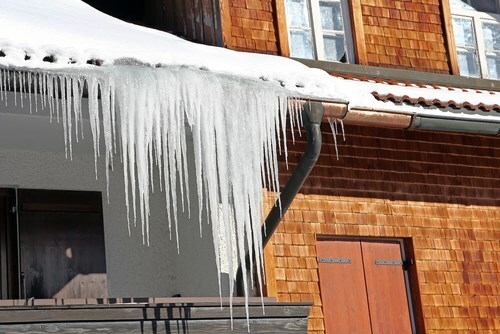 The best way to deal with ice dams on the roof is to stop them from forming in the first place! At XL Contracting, we offer a variety of solutions to help you avoid the expense of needing a Rockford replacement roof by taking preventative measures against ice dams. Insulate your attic with high-performance insulation that minimizes the temperature difference between the air inside your attic and the outside air. Seal up any leaks in the attic and upper levels of your home. With about 1/3 of your home’s heat loss occurring from the ceiling into the attic, this is an essential step for efficiency and ice dam prevention. Add roof and soffit vents if needed to draw cooler air into the attic—keeping your roof colder and reducing the risk of snow melt above an ice dam. 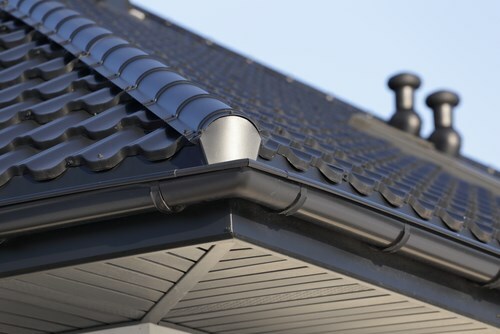 Invest in high-quality gutters that are well-protected from organic debris and allow water runoff to be smoothly directed away from your roof and home exterior. Dealing with ice dams that already formed or taking preventative measures to stop them in the first place isn’t a DIY job for most homeowners. The danger of dealing with ice dams is considerable, and it is important to work with an experienced, professional roof contractor instead of taking on the risk yourself. At XL Contracting, we’re a locally owned Rockford roofing company that offers full-service roofing repairs, installations, and more. Whether you need us to handle repairs from ice and snow damage or want to get new gutters, roofing, and soffits installed, we’ll be there to make sure that your job gets done right. To learn more about preventing ice dams and how our crew can help you keep your home protected, contact us today by phone or through our online form—we’d be happy to schedule you for a free price estimate!